The Citadel is a development of 14 No. apartments served off secure, open air access decks. A private, gated courtyard provides 8 No. parking spaces. 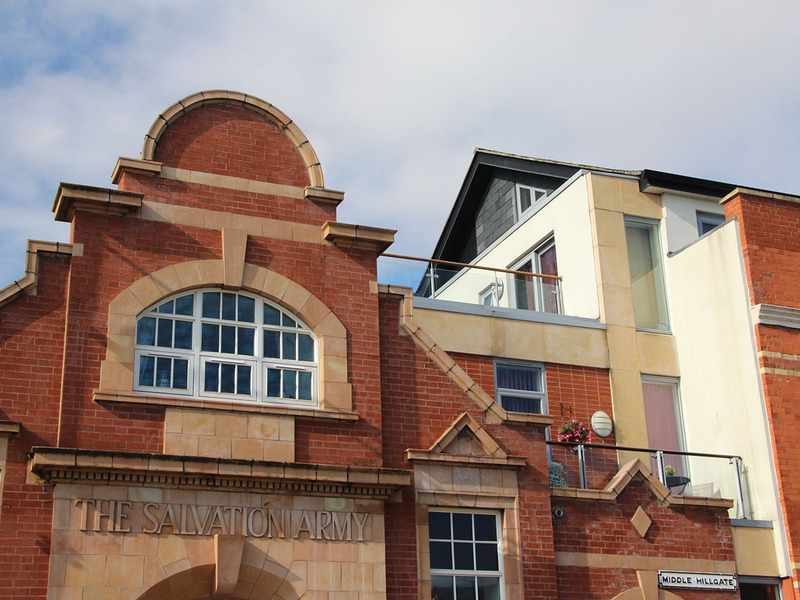 The scheme comprises principally of three storeys and realises the redevelopment and conversion of a former Salvation Army Citadel, located within a conservation area close to the town centre. 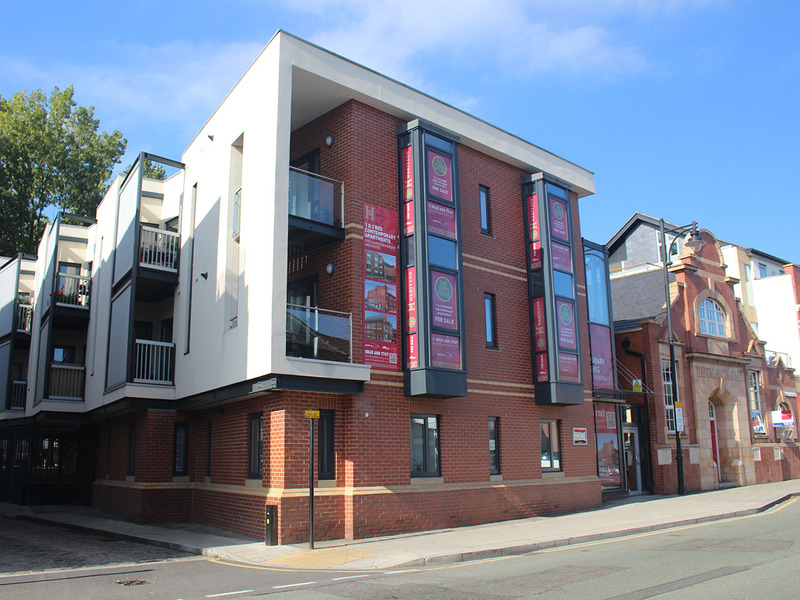 Two principal street façades have been retained and refurbished to prevent the loss of a key local landmark. 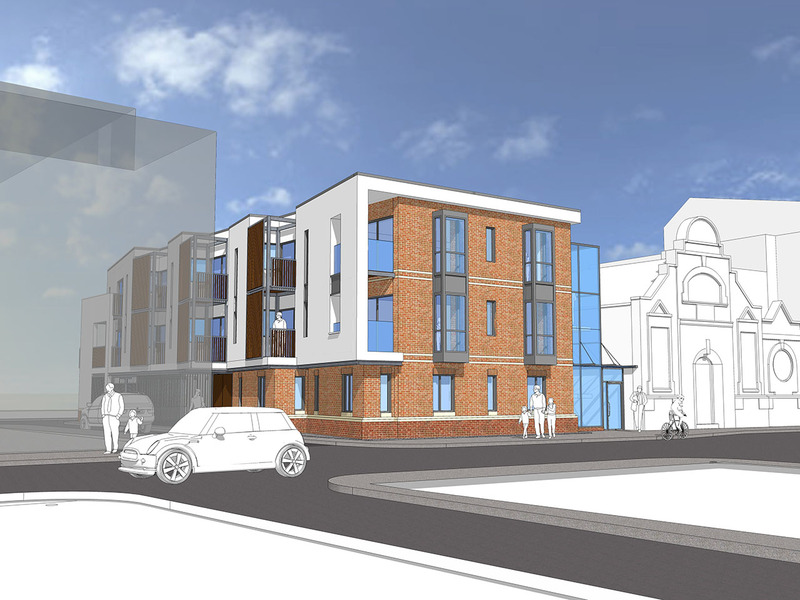 The existing building behind the façade was demolished to make way for the new scheme designed to a high specification using modern methods of construction. The project lies under the flight path to Manchester Airport and incorporates acoustic glass specifications and dense roof construction to successfully combat aircraft noise.